PERFORMANCE, ELEGANCE & EXCLUSIVITY. A TRIBUTE TO THE FERRARI. 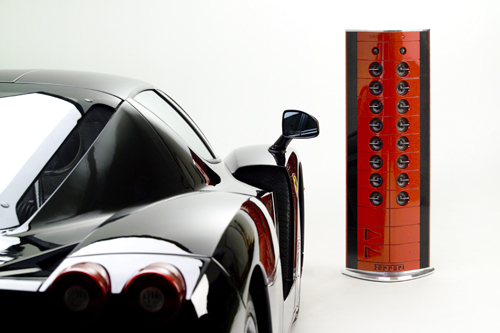 The Ferrari Art.Engine redefines personal music listening. As the world changes its listening habits and embraces digital music and iTunes® computer management of personal music libraries, the Art.Engine stands out as the only music system designed to reproduce the original artists’ music in its truest form, bringing today’s compressed music files to life. Today's tech lifestyle has created a new mode of music listening and demands a totally new approach to audio. DWC, with input from Ferrari, has accepted this challenge and the result is Art.Engine. You can see and hear the passion inspired by Ferrari in Art.Engine's every detail - from the racing-style NACA cooling ducts, sumptuous carbon fiber baffles and Ferrari inspired paint finish to the exceptional sonic performance. 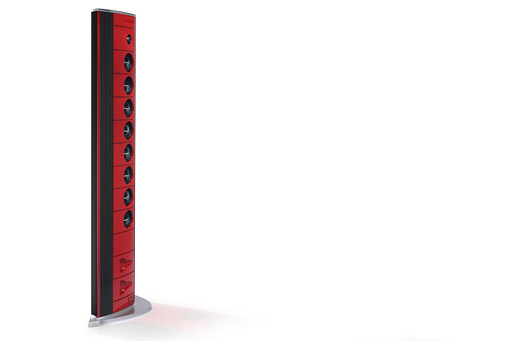 An audio and engineering tour de force, the Art.Engine is a complete audio system that combines two stunning speaker arrays, wireless signal input and digital electronics, all in a single tower. 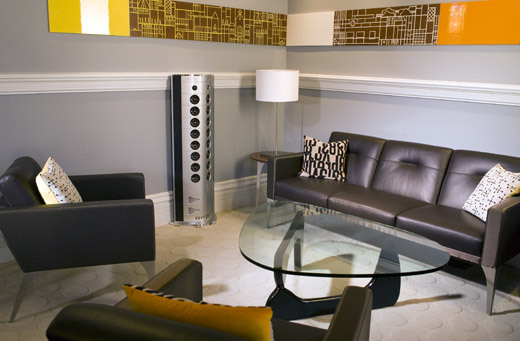 Powerful, yet streamlined at 47 inches tall, 16 inches wide and only 6 inches deep, the Art.Engine creates a room-filling sound field of high-definition stereo entertainment. Needless to say, performance is outstanding. "Vibrant," "clear" and "three-dimensional" are some of the words listeners use to describe the Art.Engine. Art.Engine's sophisticated technology brings considerable advantages in performance, yet its extreme simplicity provides immediate ease of use. One control button sends music wirelessly from your computer, or you can plug in an iPod®, MP3, satellite radio or CD player and instantly enjoy an extraordinary music experience. As one of the most exclusive products ever to bear the Ferrari name, Art.Engine is a tribute to Ferrari's standards, performance and style. Art.Engine. Performance, Allure and Prestige.